I’m a human being and I don’t believe in borders. I think the world belongs to everyone born on Earth. This is my planet, our planet. No man is an island. Yes, I was born on Cuba but, above all, I was born on Planet Earth. I like to think that Lana Sutra talks about universal love which cancels diversity. It is humanly natural to think of things and forces that separate us from each other. Language, culture, place, values and tradition; they all create a separation which we call differences or diversity. Erik Ravelo is a Cuban artist at Fabrica who has viewed those differences as the palette to break down and dissolve those differences. 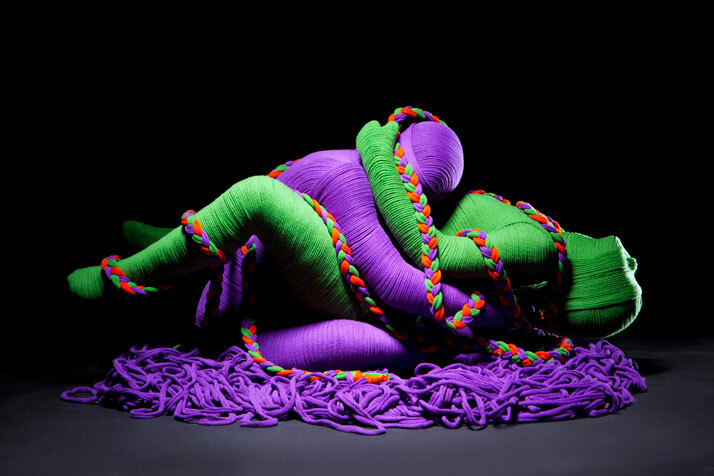 In his latest work, Lana Sutra, with United Colors of Benetton, his experiences concerning diversity shaped and unified the convergence on diversity, love. There is a common thread that unites us and it is stronger than anything else that might separate us; this is love. We are citizens of one planet, one humankind. As humans, it’s as if we need acts of war, natural disasters or other negative catastrophes to remind us of our mortality; we believe that this is not the best reminder. We believe that through art, we can remind ourselves of our potential as humans; we can remind ourselves of our love through sharing and our strength as one race. Art shows us the imagination and connection we share through different mediums. It has the power to captivate and uplift our spirits as it delivers the message. We have conceived a project which combines both Benetton’s traditional and new values, such as the uniqueness and authenticity of our fashions, our love of art, the constantly evolving nature of our retail business and our interest in the web and in the new geography of our world. 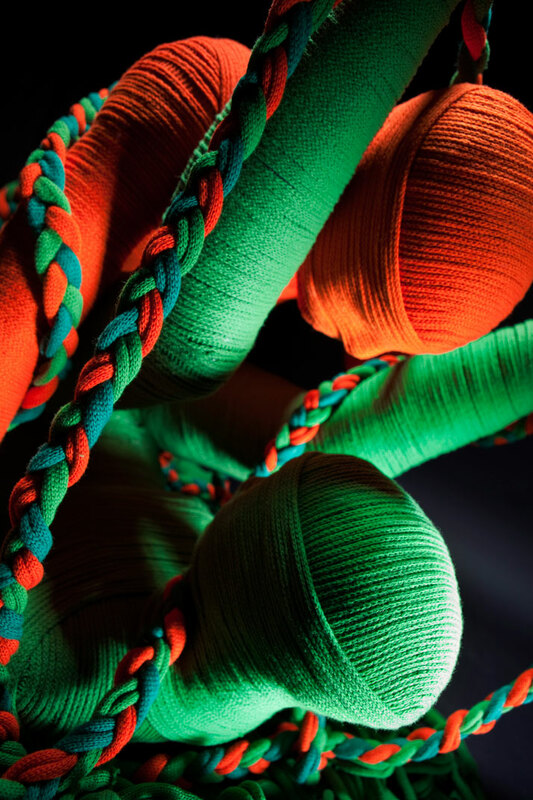 These are metaphorically held together by wool threads in bright colours: two key elements of Benetton’s DNA, which are blended together in these art pieces to become a true expression of our brand’s essence. With this project, which has been conceived and developed in harmony with our new Fall-Winter 2011 collection, we are highlighting the uniqueness and global values associated with United Colors of Benetton: an all-encompassing brand whose fashion unites with a truthful voice, people, points of view and themes that touch the whole of humanity.